The security of your home is only as good as the lock on your front door. The frightening fact is that most door handles aren’t as stable or thief-proof as you might like to think. However, there is a way you can protect your family and keep your home safe. The Mul-T-Lock provides you with the level of security and safety that you truly need. So many aspects of modern life have been revolutionized by technology, but doorknobs have been left in the dark ages. Most homes feature outdated locks that are ineffective at deterring burglars. Lock pickers know how to bypass the basic design of older locks. However, the Mul-T-Lock features a high-tech design and advanced cylinder that can make your home safer. Other locks feature thin steel, and they’re easily bypassed with a solid kick or the strike of a hammer. Mul-T-Lock is committed to improving protection levels, so they offer locks that are hardened against forceful attacks. This makes them a more secure option that’s harder for criminal to bypass. The Mul-T-Lock has been patented, and it’s only available through authorized retailers. It’s not readily available at your local home improvement store, but you can find this top-notch door lock through authorized locksmiths who are chosen, trained and supported by the lock manufacturers. They can install the new locks for you so that you can enjoy a safer home. Older locks come with keys that can be copied at any neighborhood hardware store. This is one of their flaws because savvy criminals know how to gain access to the people who have keys. The Mul-T-Lock comes with personal key cards for every cylinder. The keys can only be copied by authorized locksmiths, and they’re able to identify the owner before keys are copied. This prevents a criminal from copying a key and then returning it to the keyholder before anyone realizes it’s missing. The Mul-T-Lock is designed to be more resistant to intruders. It meets the most stringent international standards. This provides you with an outstanding quality that provides you with superior protection against intruders. The manufacturer is a member of the world-leading ASSA ABLOY group. They have more than 30 years of experience in the field of high security, and they currently own more than 500 patent registrations around the world. 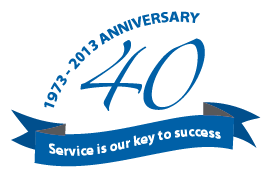 They serve every sector, including automotive, residential, commercial, institutional, and OEM. They’re prepared to respond to any challenge to provide customers with the peace of mind they deserve. Protect your family by making your home safer. You give them the best whenever you can, and that should extend to home security. You cannot put a price on the peace of mind you’ll enjoy when you have a more secure front door with a lock that will thwart most criminals. 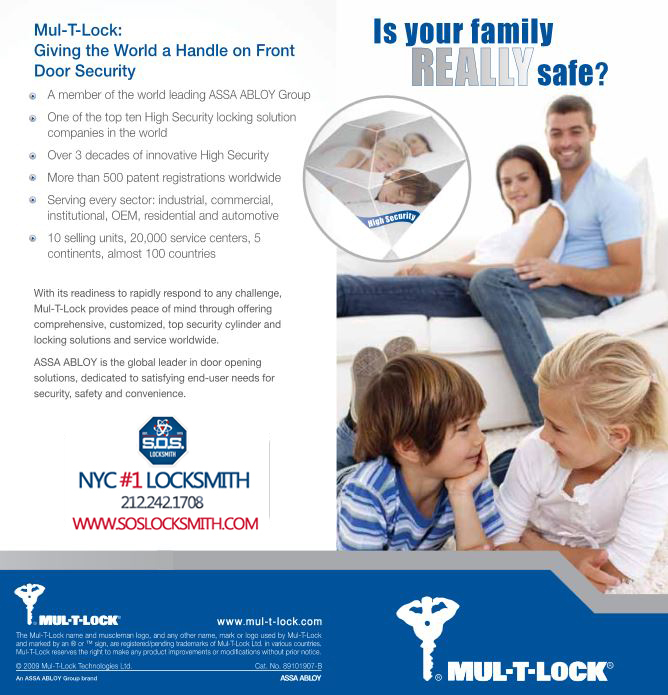 Make your home less of a target by making the investment in a Mul-T-Lock that will help you keep the family safe and your home secure.